Peter Garner has found a female Xanthogramma citrofasciatum, at Linford Lakes NR on 17 May 2016. 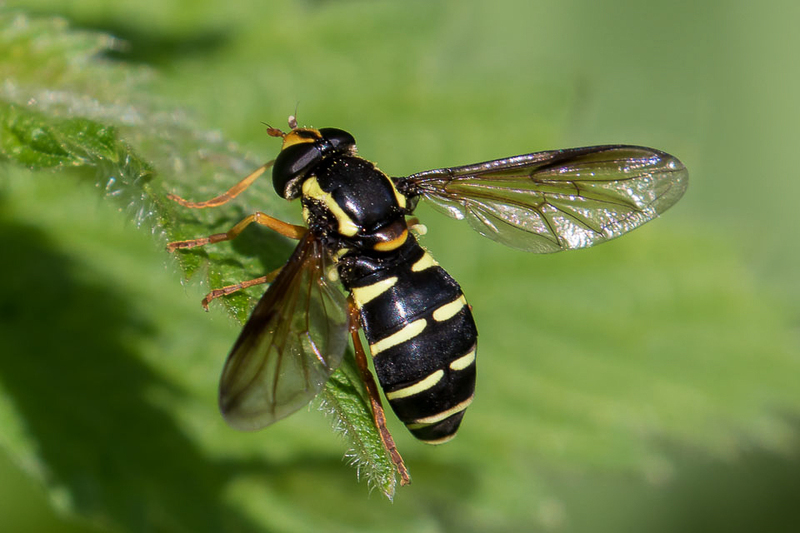 Peter commented that this rather attractive hoverfly is listed in Britain’s Hoverflies (Ball and Morris) as being ‘scarce’, with its main distribution being in the South and South West of England. It’s the first one I’ve seen!